White Lake Limited Partnership is a wholly-owned entity of the Netmizaaggamig Nishnaabeg (Pic Mobert First Nation) and is the First Nation’s principal business development corporation. Formed in 2009, the partnership is engaged in a variety of business lines and serves as a cornerstone of the Netmizaaggamig Nishnaabeg’s sovereign wealth strategy. It was developed for the economic and social benefit of the Netmizaaggamig Nishnaabeg and is responsible for the business activities and partnerships developed by the partnership. 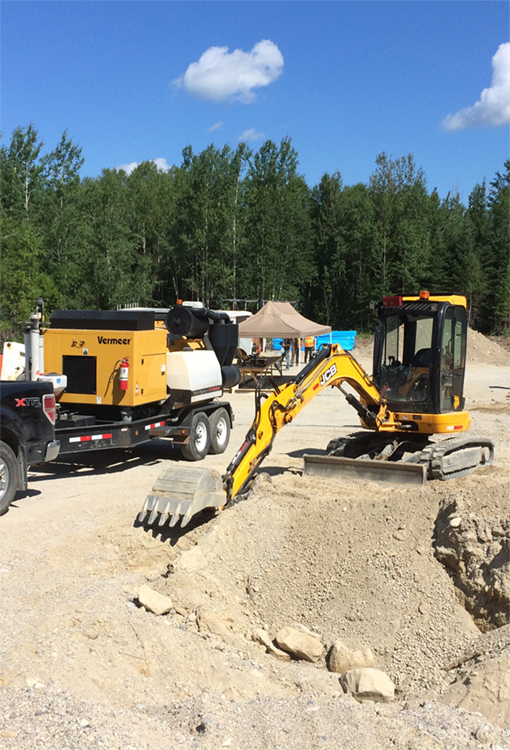 Business is carried out by its general partner, White Lake Resources Corporation, which is also wholly owned by the Netmizaaggamig Nishnaabeg. 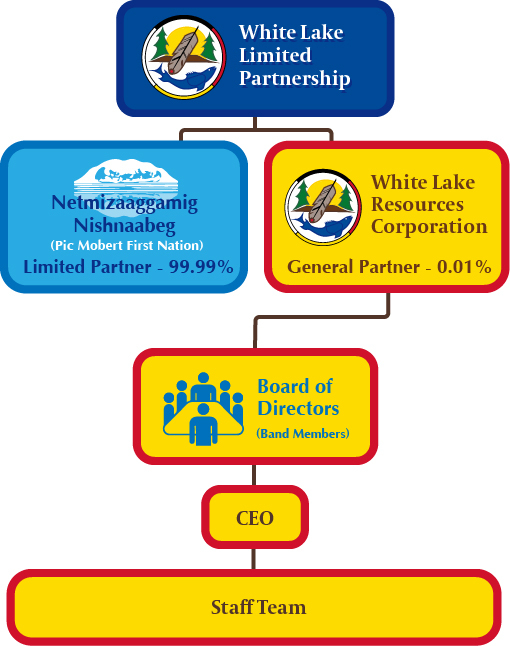 White Lake Limited Partnership is governed by a Board of Directors populated entirely by Netmizaaggamig Nishnaabeg Band members appointed by the Band Council and is operated under their guidance by a team of dedicated staff. White Lake Limited Partnership operates a diverse and integrated range of business lines delivered both directly and through partnerships, joint ventures and co-ventures. Our partners include large, medium and small business as well as other First Nations. Learn more about the ways White Lake Limited Partnership serves the community and the region.